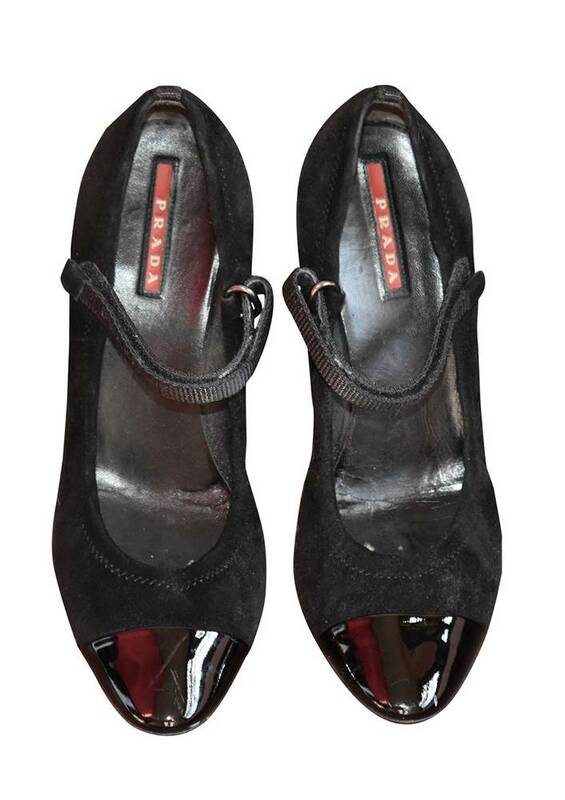 Prada Sport black suede Mary Jane pump with patent leather cap toes. 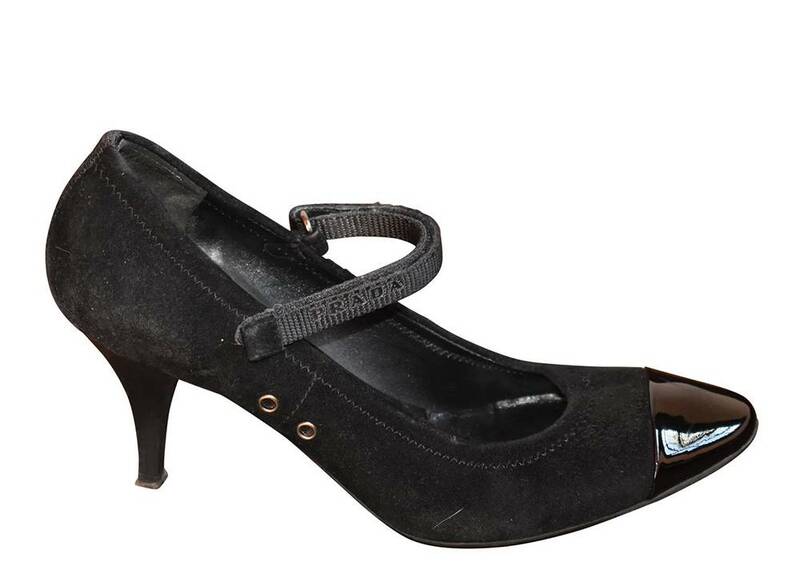 Velcro front strap and tapered heels. 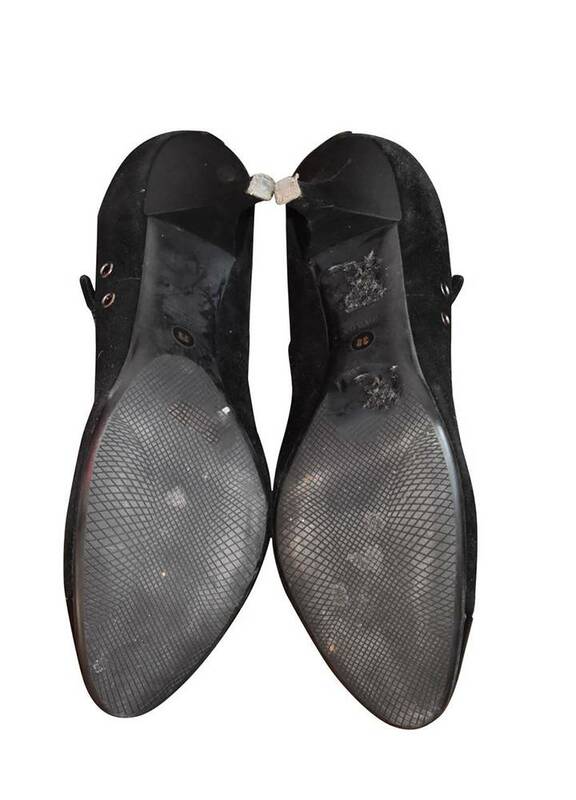 Rubber soles.Made in Italy.